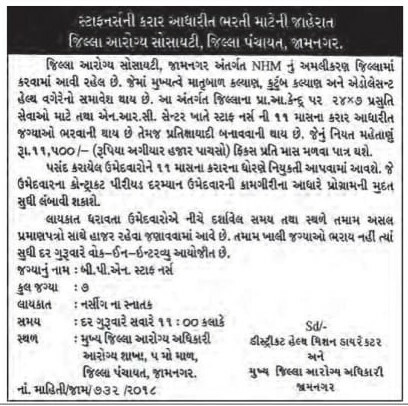 1 Response to "District Health Society, Jamnagar Recruitment for Staff Nurse Posts 2018"
UPSEE is the common entrance exam conducted for admission to the various government as well as private institutes in Uttar Pradesh. It is conducted by AKTU (A.P.J Abdul Kalam Technical University) every year and this year it will be conducted on 29th April 2018 and 5th and 6th May 2018. The UPSEE 2018 Admit Card or Hall Ticket for UPSEE 2018 Exam will be available online and will not be sent separately to the candidate via post.